*Important announcement for customers of TrustID v3 following the release of v4. TrustID announces End of Life for version 3 of the TrustID software. This announcement marks the final milestone of the lifecycle management and support phase of the 3.X release. We will continue to offer support for customers of v3 for the next 6 months ending on (date to be confirmed). We are excited to announce the release of TrustID v4. 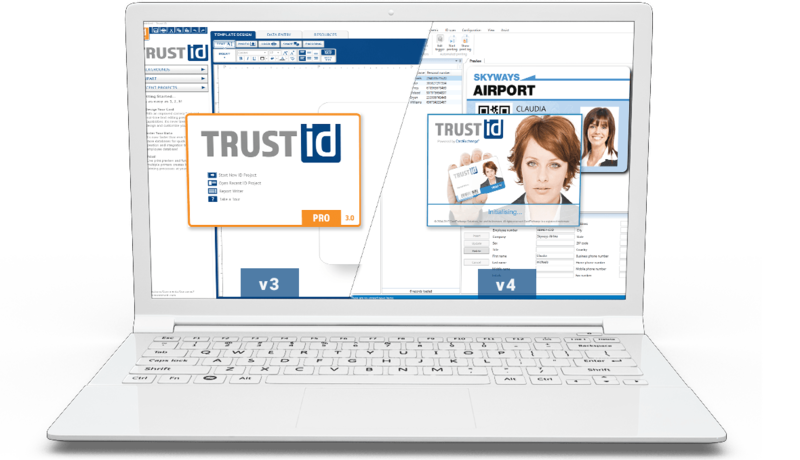 We have partnered with the World’s leading ID card software developer to bring you a new edition of TrustID that is truly best-in-class. The flexibility of its feature set works for all ID card applications, irrespective of size. It’s practical for small SMEs, but is also a platform that can be scaled for large projects such as critical infrastructure and airports.